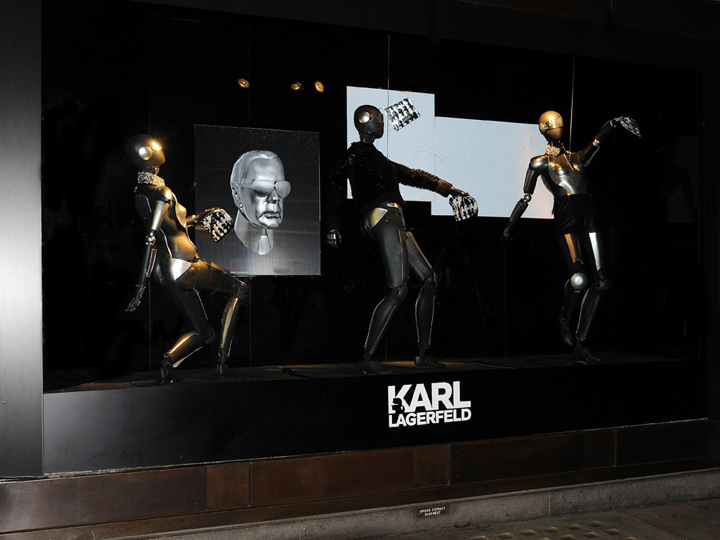 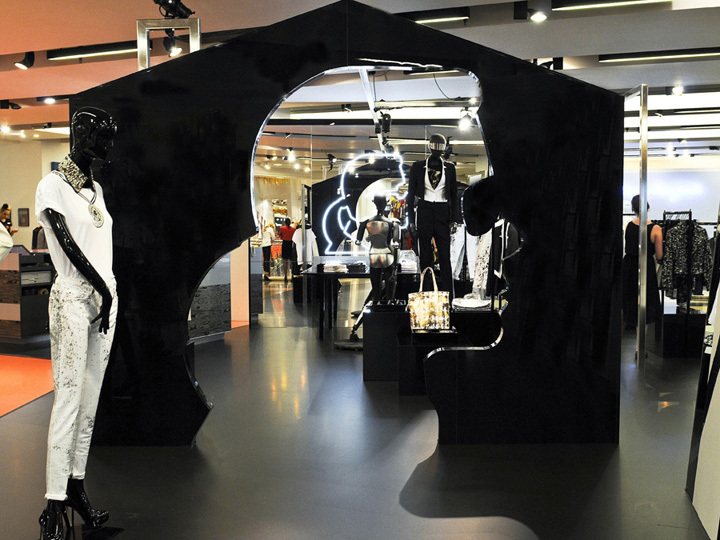 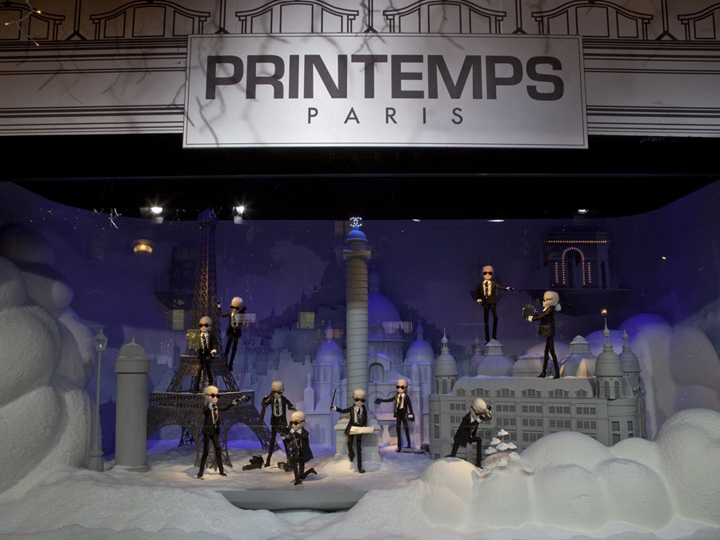 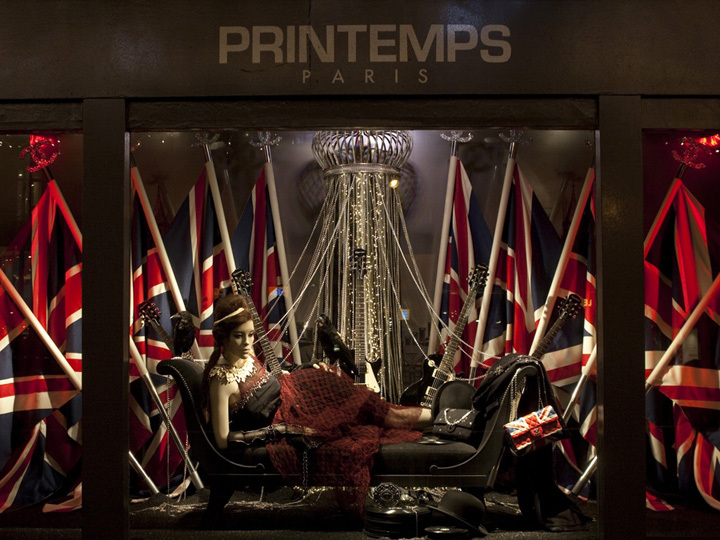 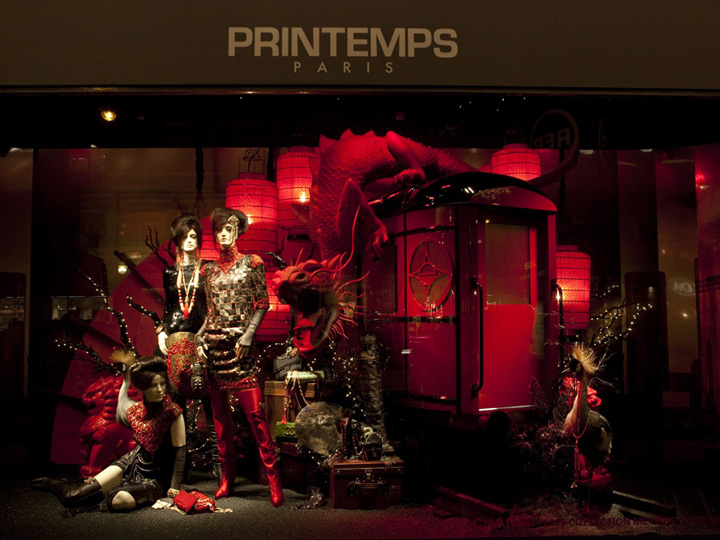 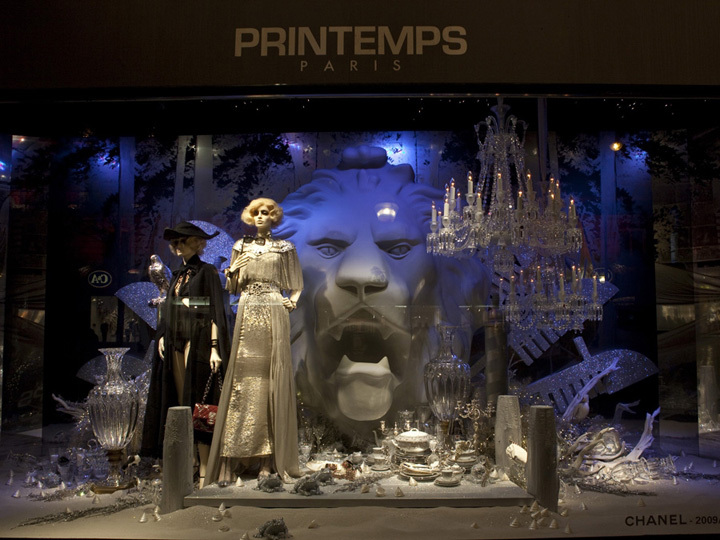 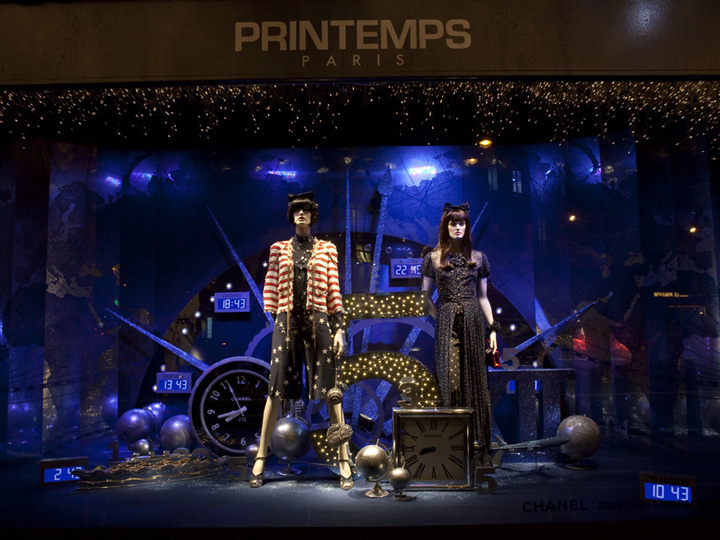 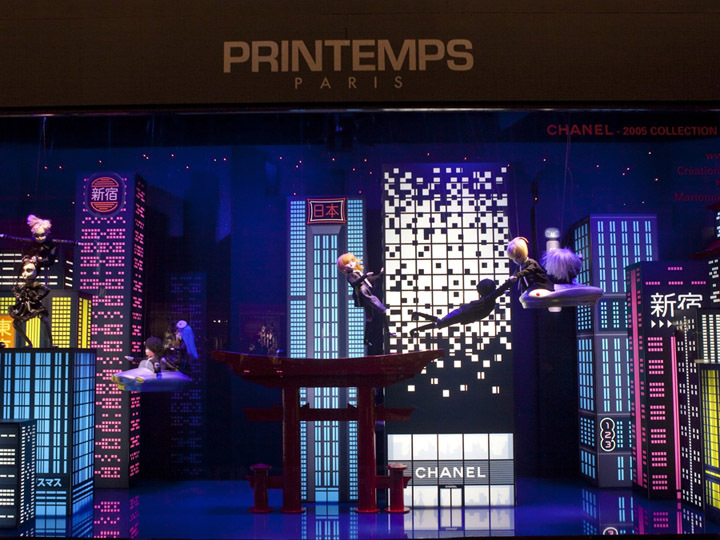 Back in 2011, Printemps Paris’ mega department store windows have been filled with holiday displays by Karl Lagerfeld. 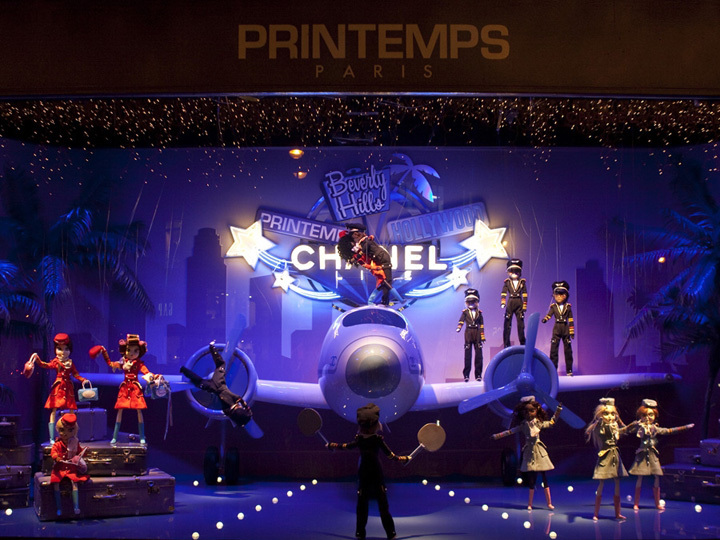 Christmas Dreams of Far Away– the presentations enact holiday scenes from legendary cities that Karl Lagerfeld has chosen as a source of inspiration. 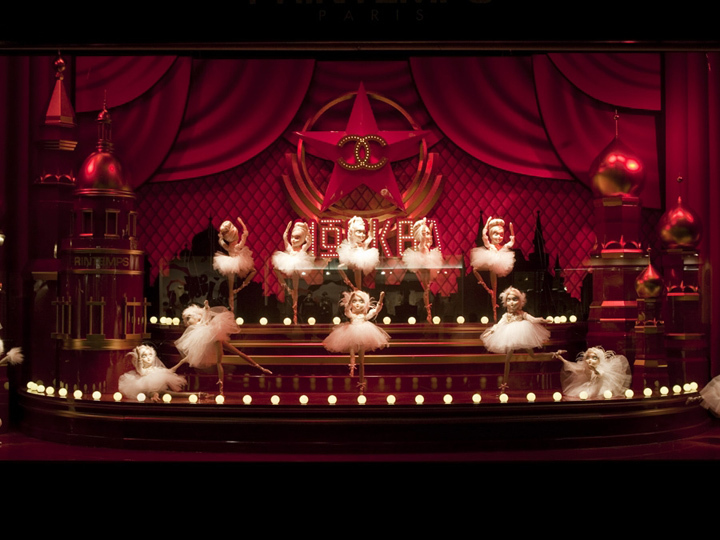 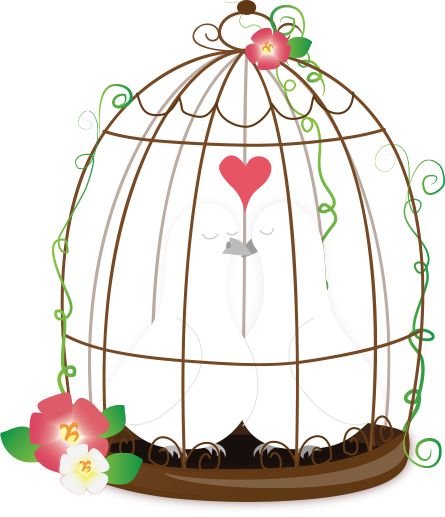 The cities include: Moscow, Venice, Paris, Los Angeles, Biarritz, New York, London, Shanghai, Tokyo and the Cap d’Antibes.